Time to become salmon again at the Lilac Festival. 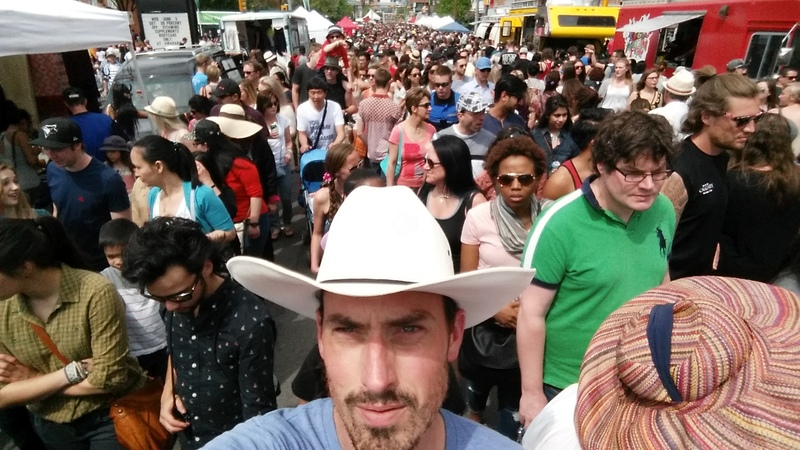 Look at all the people that showed up on a beautiful day in Calgary to enjoy the food, music and vendors. This time the lilacs had actually bloomed, the weather was perfect and I had a great mix position. 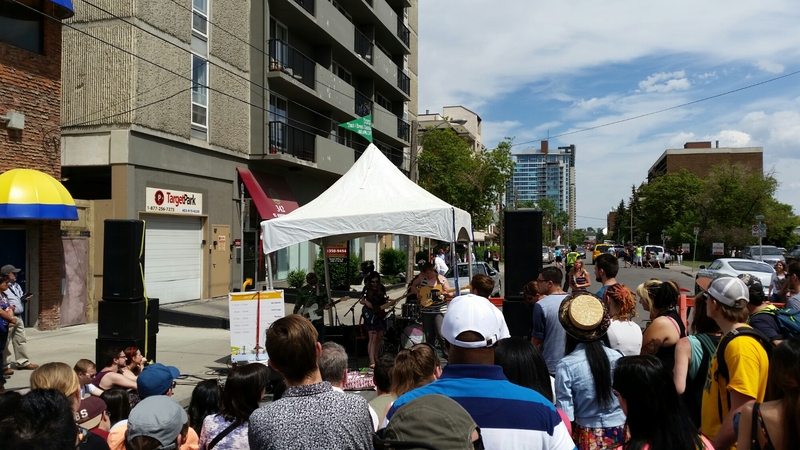 Pictured below is local band Windigo performing at the 15th Avenue stage. We had provided sound production for two of the festivals stages which included four monitors, two sub woofers and two three ways. Both of our mixing consoles were digital which made things nice and easy (although a little difficult to see some of the settings in the sun). We will see you all again next year for the festival I am sure.